Grace Kelmer, director of The Mendel Center at Lake Michigan College Mainstage, has been selected to participate in the Association of Performing Arts Professionals’ (APAP) 18th class for the Emerging Leadership Institute (ELI). ELI is an intensive two and a half-day seminar that takes place January 2-4, 2019. It develops critical leadership skills for emerging performing arts professionals. Each year, a new cohort is selected to participate in ELI and attend APAP|NYC (January 4-8, 2019), APAP's annual members conference held in New York City. Approximately 25 participants are selected from across the country each year from a wide pool of applicants. Participants work directly in the presenting and touring field which includes, but is not limited to, performing artists, presenters, managers, agents, producers, and professionals who work for arts councils or service organizations. ELI is an opportunity to engage in new professional relationships, discuss new ideas, and become part of an expanding network of over 400 ELI alumni. 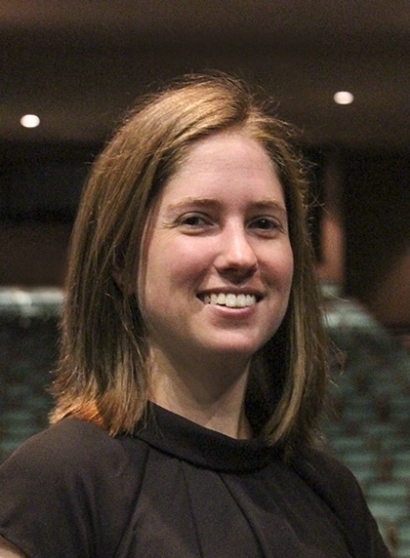 Kelmer joined The Mendel Center at Lake Michigan College in 2014 shortly after graduating with an MBA and MA in Arts Administration from the University of Cincinnati. She also holds a Bachelor of Arts degree in Music and German from Illinois Wesleyan University. She has eight years of experience in arts marketing, grants, program coordination, and front of house management. She is responsible for the patron services team of staff and volunteers, ticketing, and coordination of grants and fundraising including oversight of the Arts Factor program. The Association of Performing Arts Professionals, based in Washington, D.C., is the national service, advocacy and membership organization dedicated to developing and supporting a robust performing arts presenting field and the professionals who work within it. Our more than 1,700 national and international members represent leading performing arts centers, municipal and university performance facilities, nonprofit performing arts centers, culturally specific organizations, foreign governments, as well as artist agencies, managers, touring companies, and national consulting practices that serve the field, and a growing roster of self-presenting artists. As a leader in the field, APAP works to effect change through advocacy, professional development, resource sharing and civic engagement. APAP is a nonprofit 501(c)3 organization governed by a volunteer board of directors and led by President & CEO Mario Garcia Durham. In addition to presenting the annual APAP|NYC conference - the world's leading forum and marketplace for the performing arts. APAP continues to be the industry's leading resource, knowledge, and networking destination for the advancement of performing arts presenting. APAP|NYC is the world's premier gathering of more than 3,600 performing arts professionals in New York City at the New York Hilton Midtown and Sheraton New York Times Square. APAP|NYC features more than 1000 world-class artist showcases held around the city, an EXPO Hall boasting nearly 400 booths, dozens of professional development sessions, A-list keynote speakers, and pre-conference forums, many of which are free and open to the public and members. See more conference information at apapnyc.org, and APAP membership information at apap365.org. About The Mendel Center Mainstage: The 1,559-seat Mendel Center Mainstage Theatre offers state-of-the-art acoustics and comfortable seating in elegant surroundings. Other amenities include an assistive listening system, free parking, handicap accessibility, and an array of special services including valet parking, catering and bar service for private pre- and post-show events, booster seats for children, non-spill cups for beverages inside the theatre, and premium seats in the Stage Side section. The Mendel Center is 30 minutes from Niles and 40 minutes from the Kalamazoo and South Bend areas. It is located on the Lake Michigan College campus at 2755 E. Napier Avenue, Benton Harbor, Michigan. The Mendel Center is one mile east of I-94 (Exit 30) and one mile west of the US 31 Bypass (exit 24). The GPS mapping address is 1100 Yore Avenue, Benton Harbor, MI.